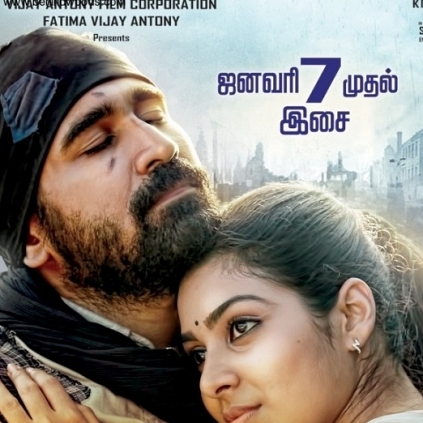 Pichaikkaran directed by Sasi starring Vijay Antony and Satna Titus is hitting the screens this Friday the 4th March. The film has been granted a U certificate from the Censors and has also been given the tax exemption from the Tamil Nadu government. Elated by this development, Saravanan of K R Films who is distributing the film says, “We are glad with this tax exemption. The movie trade will witness a mass commercial success”. Director Sasi talking to behindwoods says, “Pichaikkaran is about a millionaire. He leads a life of a beggar for some time in his life. The experiences during that period, his learning curve, the difference between the same people he came across while he was a rich man and later when he turned a beggar- these are the aspects I had discussed in my film. My film will be talked about for its unique content." People looking for online information on Pichaikkaran, Sasi, Satna Titus, Vijay Antony will find this news story useful.